Steph Eats Chicago on Dr. Oz Show! Steph Eats Chicago on Dr. Oz! I’m super excited to announce that this coming Monday, January 27th I’ll be featured on Dr. Oz for his healthy recipe challenge! The show will air on FOX at 3:00pm CT and the episode should also be online here after the show airs. Dr. Oz producers challenged me to create a healthier version of Chicago’s deep-dish pizza. Always up for a challenge I put my nose to the pizza stone and came up with a delicious alternative that’s figure-friendly and perfectly portioned! 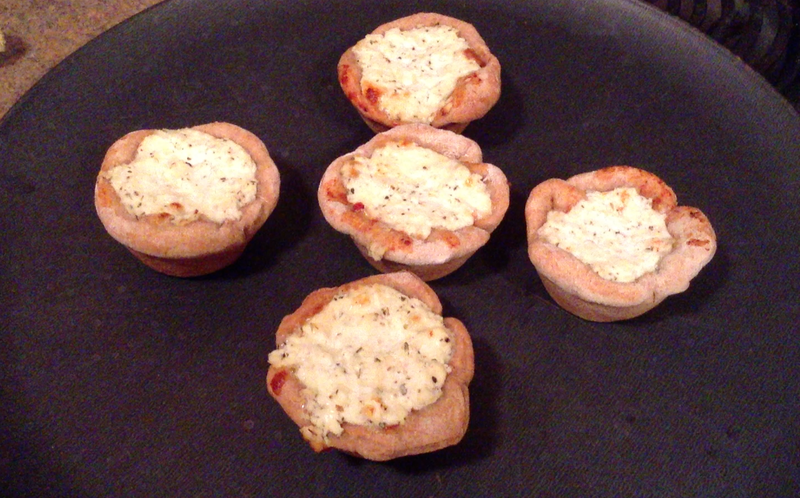 My miniature deep-dish pizzas made in a muffin tin give you all the dough and cheese you’re looking for in a bite-sized low-fat option! The show aired and I had about .5 seconds of airtime but I made it! You can check out the YouTube video clip of the show here: https://www.youtube.com/watch?v=sNqk36jWK_A. Let cook for a few minutes and serve! One of the coolest things about the Dr. Oz segment is that I was able to get in touch with several other great food blogger from around the country whose recipes will also be featured tomorrow on the show! Check out their blogs below and keep an eye out for the recipes to pop up on their websites within the next day or so! This looks awesome Stephanie! I've been wanting to try something like this for a while now so this will finally give me that push I so desperately needed! I also love that you used whole wheat dough. Great to connect with you - looking forward to watching today! I'm Stephanie Eats Chicago and I'm always up for any sort of eating adventure! I live in Lincoln Park and love exploring all of Chicago's neighborhoods, cooking, alfresco dining, running and being outside (esp in the summer). I try and cook at least one great meal every week and love sharing my new recipes with friends and family. I love blogging for ChicagoNow as it's a way to do three of my favorite things all in one: write, eat/cook and experiment with social and digital media! Don't miss any recipes or foodie event updates!